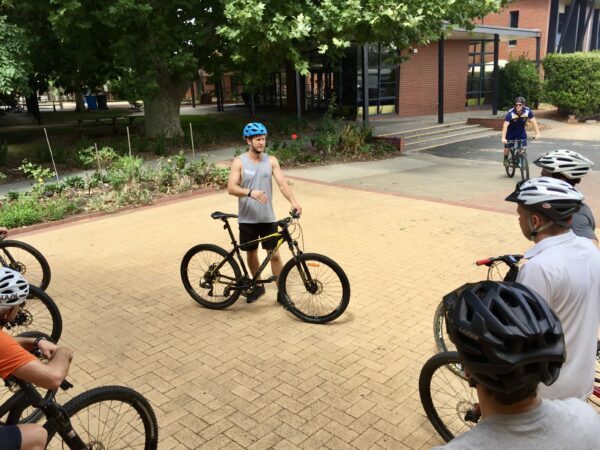 Welcome to the December edition of Mountain Bike Australia's Member Newsletter. 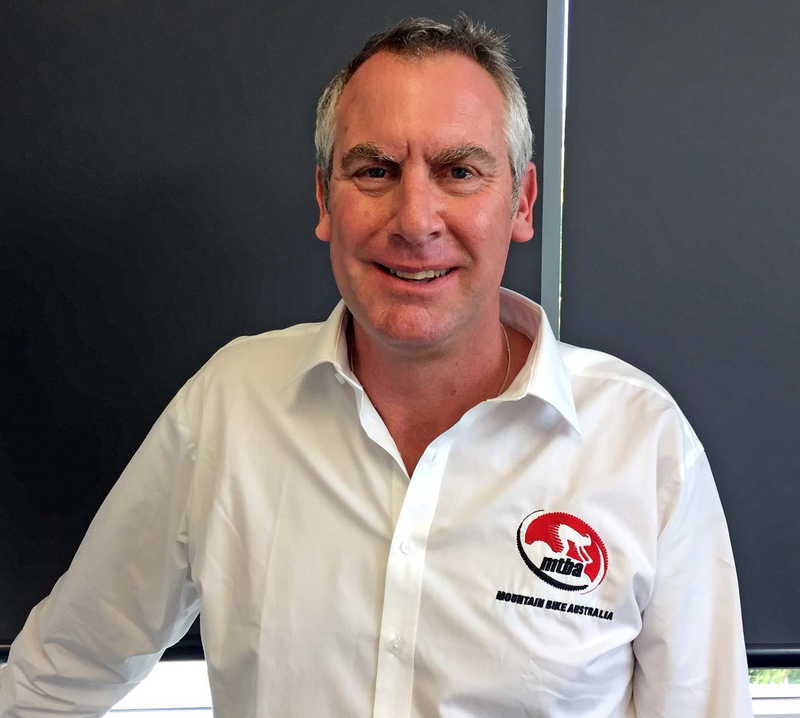 MTBA would like to take this opportunity to thank all those who have contributed throughout the year in any capacity to the MTB community in Australia. We wish you all a merry and safe Christmas and New Year with your family and friends. May you have a terrific time on the trails. 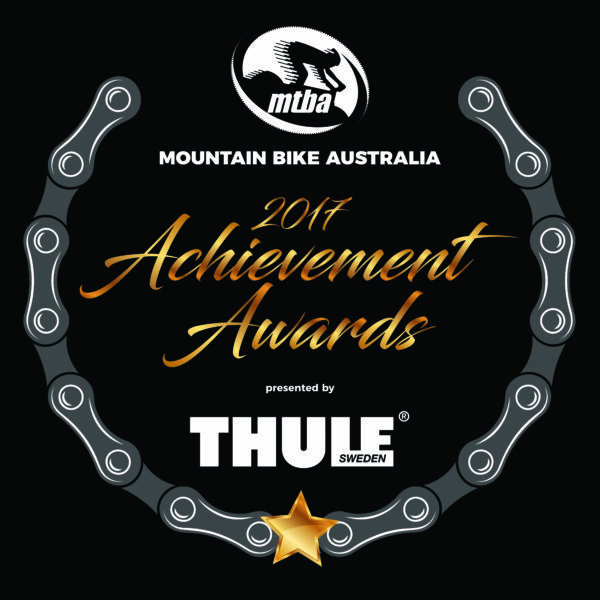 Nominations are now open for the 2017 MTBA Achievement Awards presented by Thule. The MTBA Achievement Awards recognise the phenomenal contributions made by the clubs, members, volunteers, riders, coaches, event promoters and commissaires in the mountain bike community. The awards are yours and MTBA's way of acknowledging achievements and recognising these contributions. CLICK HERE to complete the nomination form now. After the success of the opening two rounds, don't miss your only chance in 2018 to race on the 2018 Gold Coast Commonwealth Games cross-country course in a national event at Rounds 3 & 4 of the 2018 MTBA Cross-Country National Series presented by Beastwear, Nerang 13-14th January 2018 . The three loops of Round 3 & 4 will feature a variety of track styles, including fast flow trails and slow-speed steep and technical trails to challenge athletes. 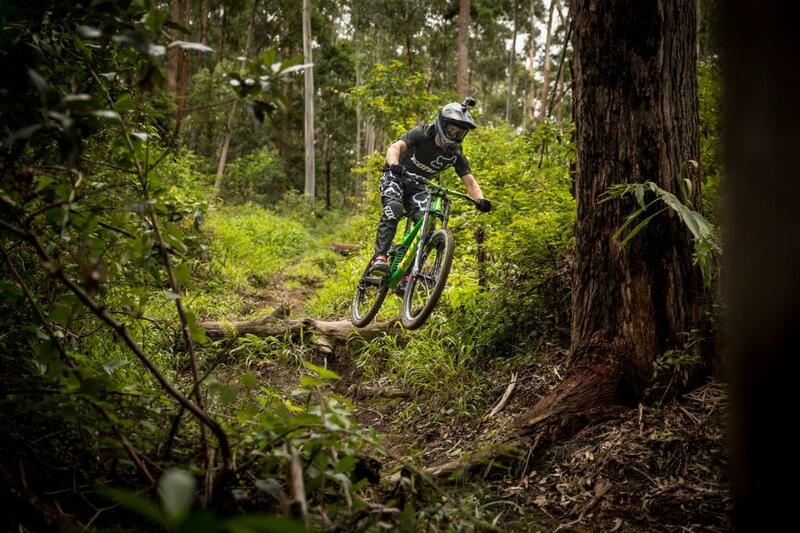 A downhill track surrounded by the beauty of forested areas with spectacular views of the mountains and the sea will open the 2018 MTBA Downhill National Season at Coffs Harbour on the 20th & 21st January 2018. The trail contains an abundance of features including smooth jumps, exciting drops, fun fast sections and challenging natural obstacles. 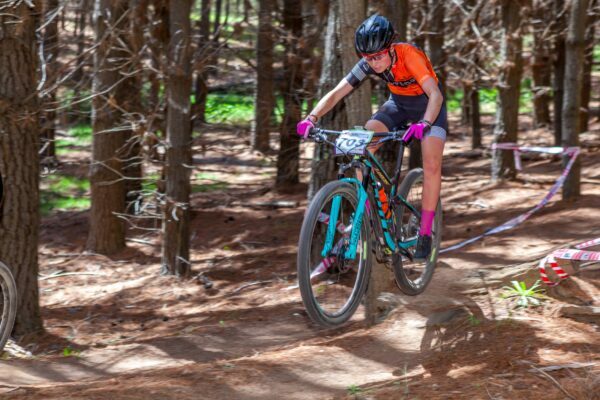 Don't miss out on registering and being part of the opening round of the 2018 Downhill Series. Now the whole family can get involved with a MTBA Family Membership! - Choose from Race (with Club), Recreation (with or without club), Value-Add (with or without club) and Non-Riding (with club). CLICK HERE to download the Family Membership Application Form. 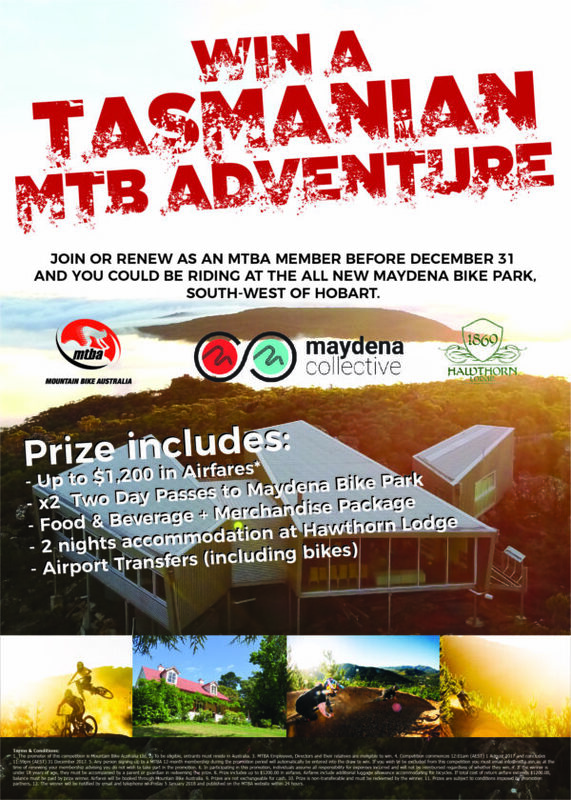 Join or renew your MTBA membership BEFORE DECEMBER 31 and you could be riding the sweet trails at the all new Maydena Bike Park near Hobart when it opens. The MTBA office will be closed from 1:00pm Friday 22nd December 2017 and will reopen at 9:00am Tuesday 2nd January 2018. From all of us here at MTBA, we wish you a safe and very Merry Christmas, with lots of mountain bike adventures with family and friends over the holiday period. The following Level 0 Skills Instructor courses will be delivered in 2018. Further dates to be released early 2018 for Alice Springs and Nowra. CLICK HERE and stay up-to date with the latest courses on our website.